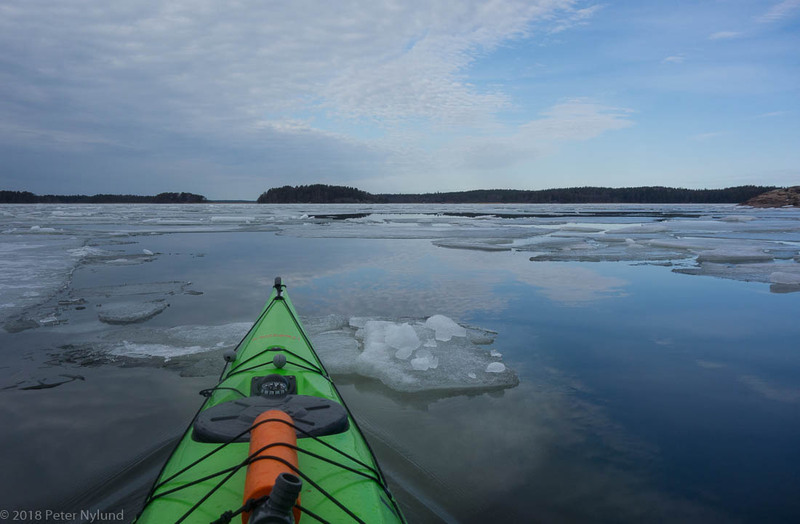 By now I should already have been on a scouting trip in the Archipelago Sea for some upcoming kayaking club trips, but there is still ice everywhere. Open water can only be found around the shipping lanes, which from which the melting has begun. 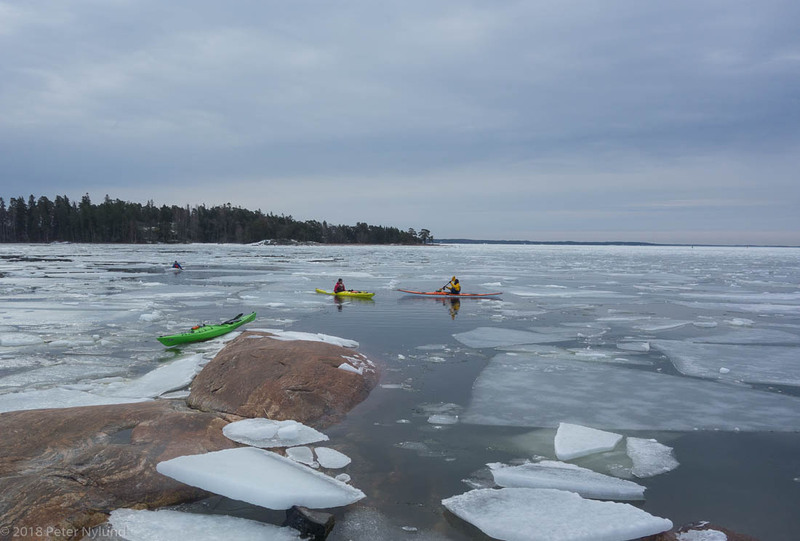 The northern part of Airisto looked good on satellite photos and even photos on site, and we agreed to open the kayaking season there with a four hour trip. Arriving at the place showed a different reality, though. 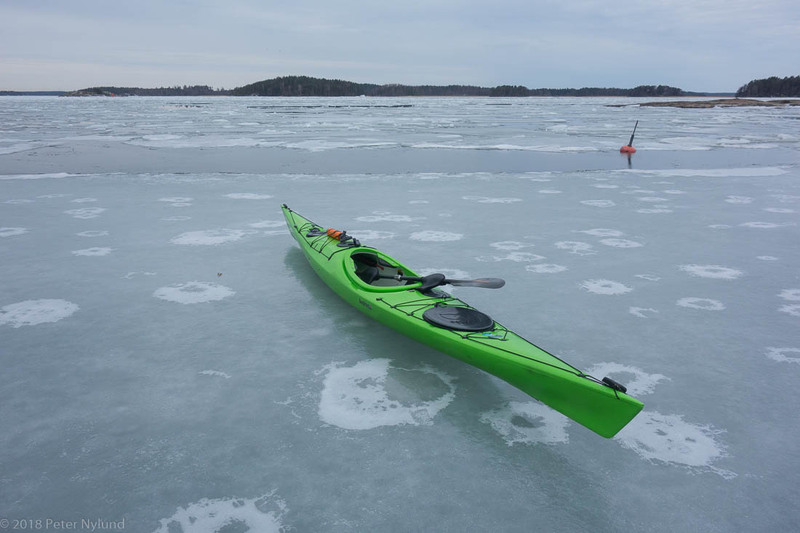 The wind had obviously blown all the ice flows to this part of Airisto, and paddling was almost impossible. We gave it a try, though. 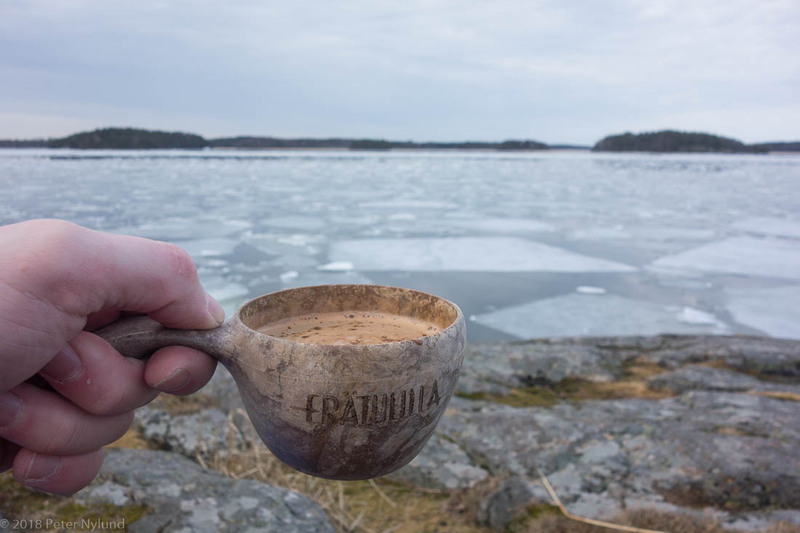 Ice prods were more useful than the paddle. 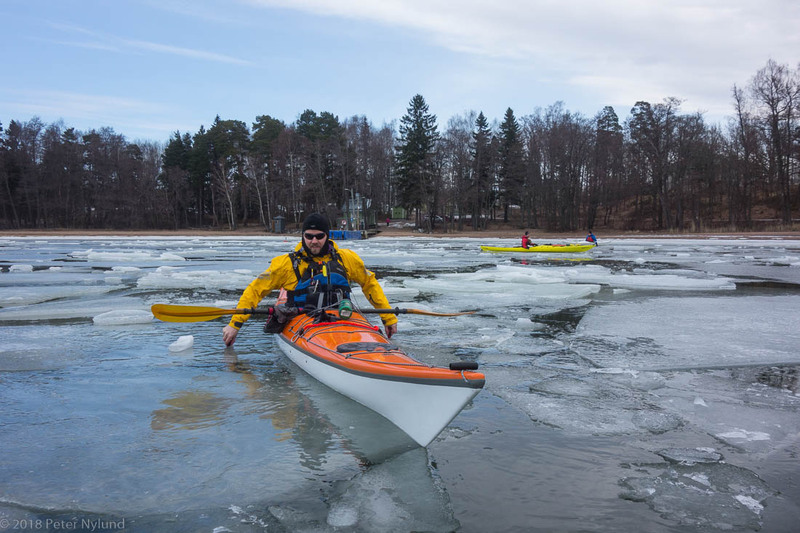 I was smart and took the PE kayak due to possible ice. After around 300 m we gave up and landed to go up on some cliffs to take a look at the situation. It looked even more hopeless further ahead, so the only sensible thing to do was to drink and eat our snacks and then turn back. The kayaking season is still started, and this is actually not the shortest paddling trip I've done from this place in winter conditions. Next weekend I have to go on a kayaking overnighter. It remains to see where.